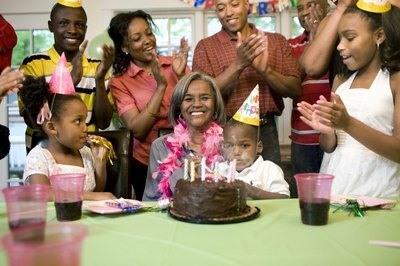 Celebrating a 60th birthday is truly a milestone, whether it's your birthday or that of a loved one. It's typical, and rightfully so, to celebrate with a huge party, including all of the celebrant's friends and family. Choose a theme and colors for a special party that can be treasured for the rest of his years. For a classy, elegant or classic look, opt for black and white, silver or gold. Black and white color schemes are excellent for nostalgic 60th birthday parties where you can decorate with black and white photos of the birthday celebrant growing up. Add her baby photos as well as other birthdays (find a picture from each of her 60 birthdays if you can), her wedding, holidays, vacations and other special occasions. Have color photos reprinted in black and white to keep with the theme. Black, coupled with gold or silver, is another option for elegant 60th birthday celebrations. Large metallic "60" symbols can be strung from the ceiling or walls. Use black tablecloths with silver or gold "60" confetti and centerpieces. Add a collage of photos of the celebrant's life in a silver or gold picture frame. These colors also are typically used for "over the hill" 60th birthday celebrations. Take this route only if you know he won't mind being teased about his age and enjoys that sort of humor. 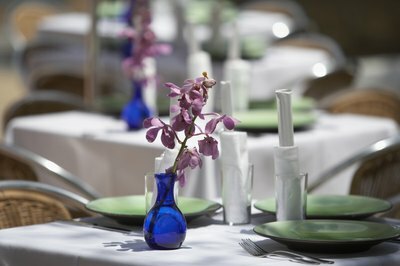 Bold colors such as purple and blue are other options to consider when choosing your 60th birthday party decorations and color scheme. Many centerpieces, banners and other 60th birthday decorations are available in multicolored, festive patterns leaning on blue and purple specifically. The background is typically black with little streamer-like designs in other bright colors in the background. This color combination is terrific for a high-energy party. 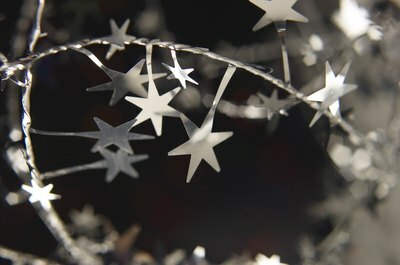 Try to use his favorite colors when deciding on the proper decorations, particularly bright, festive colors. Pastel colors should not be used for a 60th birthday celebration, unless you want a subdued, slow-paced party. This may be an option if most people on the guest list are retirees. However, a bright and bold color scheme is a better option if you want the party to feel like a celebration. Parties commemorating such a milestone should be exciting and fun, which is helped by decorations featuring bold colors.